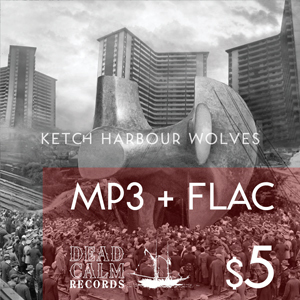 Purchase Queen City: Volume Two by Ketch Harbour Wolves in digital (MP3 + FLAC) or compact disc (CD + MP3 + FLAC) formats direct from Dead Calm Records. All transactions are handled securely by PayPal. Prices listed in $CDN and include taxes and shipping. Shipped from TORONTO ON Canada by Dead Calm Records. Please contact ariel@deadcalmrecords.ca for more information on custom orders and shipping. Ketch Harbour Wolves released their latest album “Queen City: Volume Two” on Tuesday July 21 via Dead Calm Records in Canada. Queen City: Volume Two finds the Toronto band entrenched in the somber mythology of their home city. 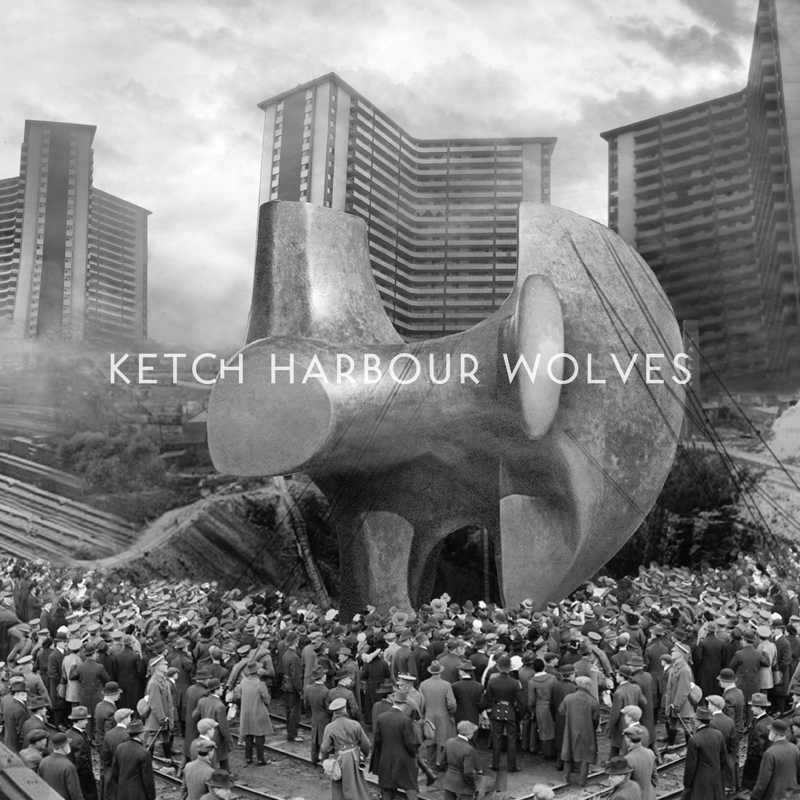 The album, written and recorded by Ketch Harbour Wolves in Toronto, Ontario, CANADA, is the second instalment in the Queen City series and marks the band’s third full-length release. Queen City: Volume Two explores Toronto’s past, present and future in a baroque-indie-rock map of songs. Thematically the album stretches along the belly of the Queen City from the Toronto Islands to the underground rivers of Niagara Street, into the heart of Nathan Philips Square, through the city’s Victorian neighbourhoods and the towers of St. Jamestown, coming to rest with the mysteries of the Don Valley and the Toronto Necropolis. Ketch Harbour Wolves are Jonathan Tyrrell (frontman, lyricist, composer), Liam Brown (guitar and supporting vox), Brian Urbanik (drums), and Scott Winter (bass). 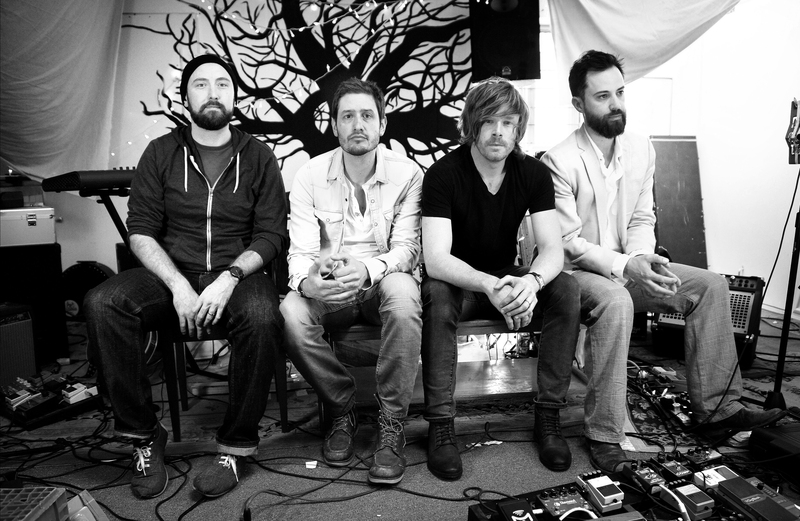 The band writes and records music in Toronto, Ontario CANADA and releases recordings via their independent label Dead Calm Records.